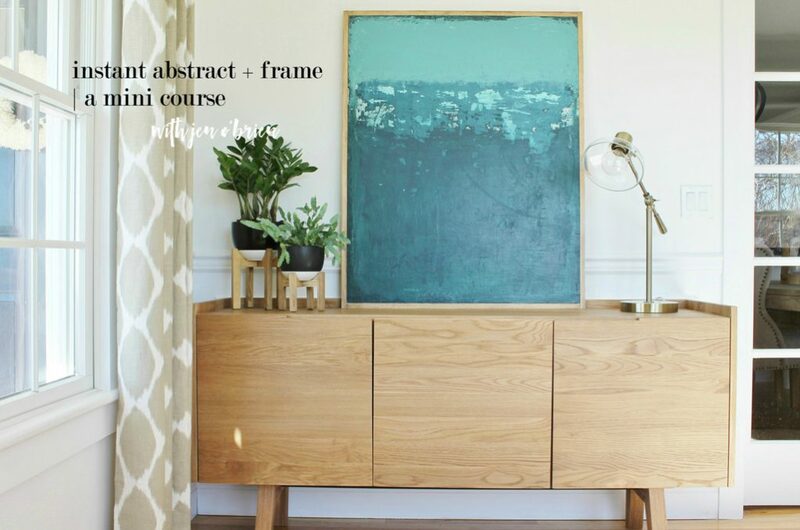 If you have been wanting a gorgeous abstract painting on that perfect wall in your home but don’t want to spend a ton of money you will love my news! 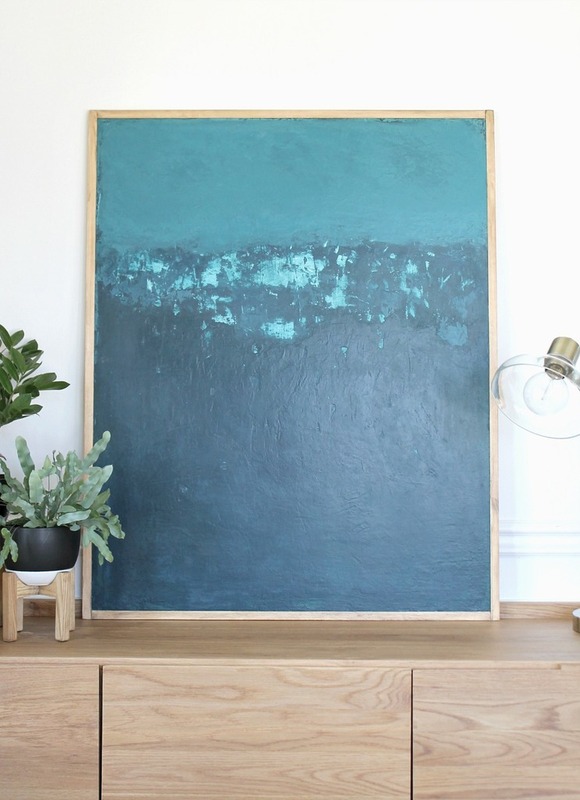 When I first saw that Jennifer LeBrun O’Brien had painted her own piece for her gorgeous home and popular DIY and decor blog City Farmhouse (go right now if you haven’t ever checked her out) I asked her right away to share it on our creative network. Lucky for us she said yes! Jen and I have been friends since she lived here in my old neighborhood in Colorado. 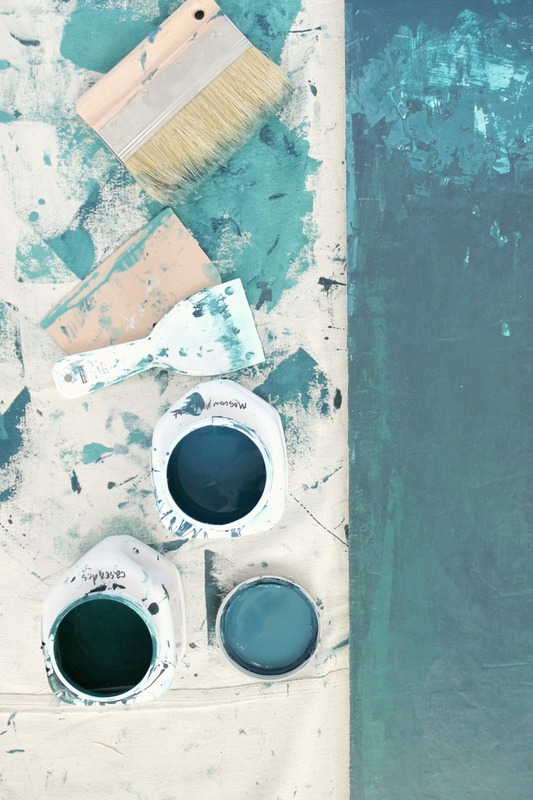 Many years ago she moved back to where she grew up and she took all of her gifts and passions and has created an incredible blog and business out of it. Jen has excellence in everything she puts out into the world and that is why I am so excited about this mini course. Because this online class is a mini course it means it is available RIGHT NOW, it is two hours and you have lifetime access AND it is only $18! I love that we have started to offer these mini courses right at the weekend so you can dive in, create and also have affordable options to grow your own gifts. 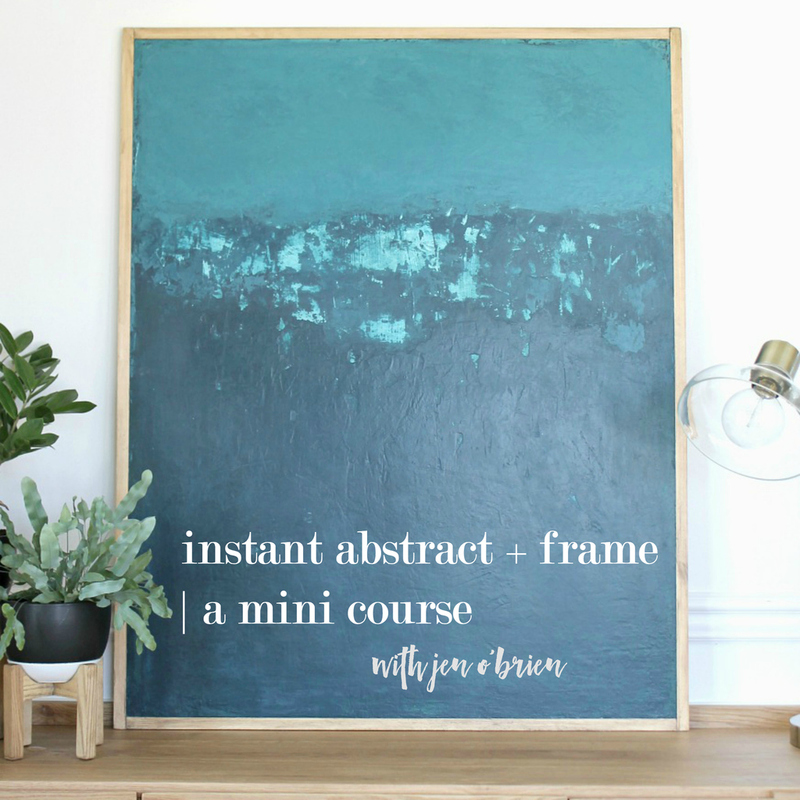 We have another INSTANT ACCESS mini course and this time it has been created by lifestyle blogger and designer Jen O’Brien of City Farmhouse! 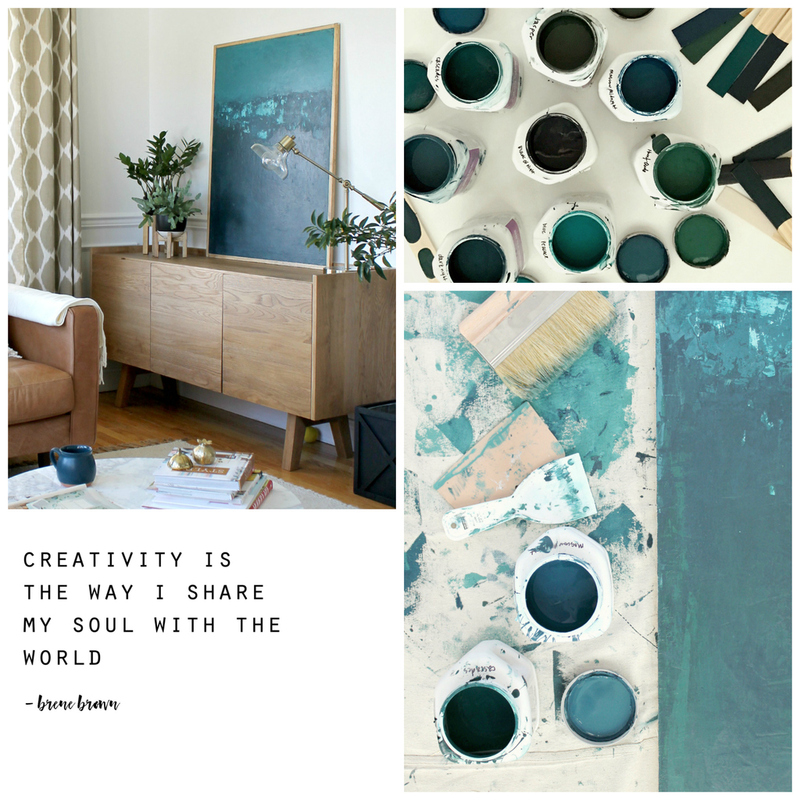 You have probably seen her work all over Pinterest, on other blogs and in the pages of your favorite design magazines. 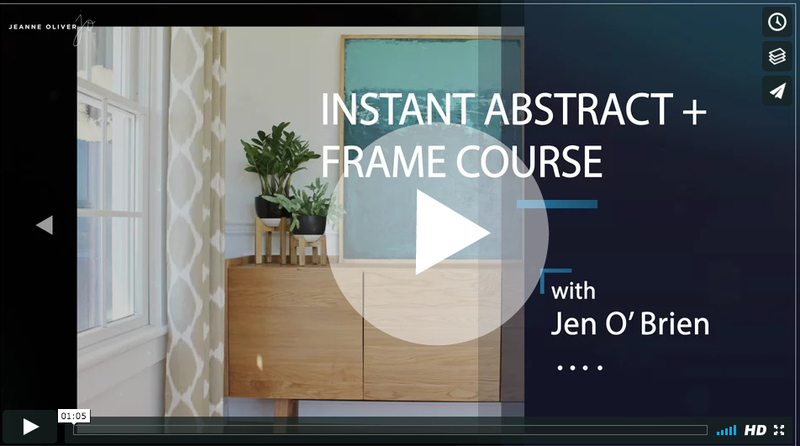 Jen is teaching Instant Abstract + Frame | A Mini Course and you don’t have to wait at all. Come on over! 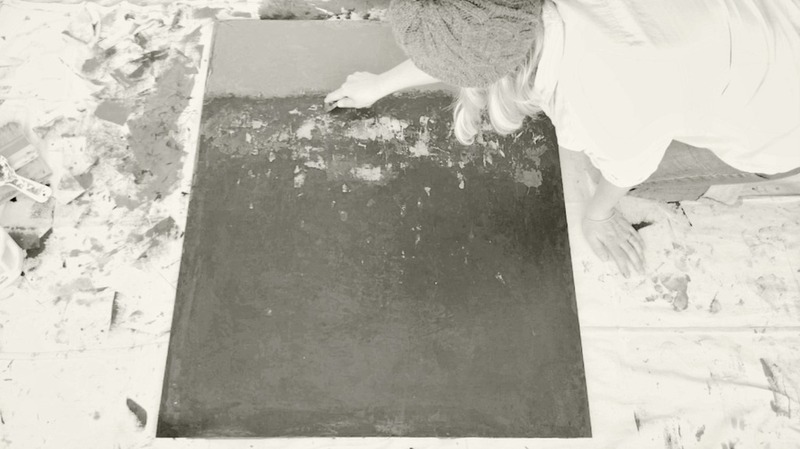 In this mini course we will be exploring color, scale, composition and texture to create a large abstract painting for your home. We are going BIG with this piece to inspire you to conquer fear, find joy in the process and to make a meaningful connection. I will share my own experiences with art and how reflection allows me to dig deep to uncover art that is honest & raw and intentional. 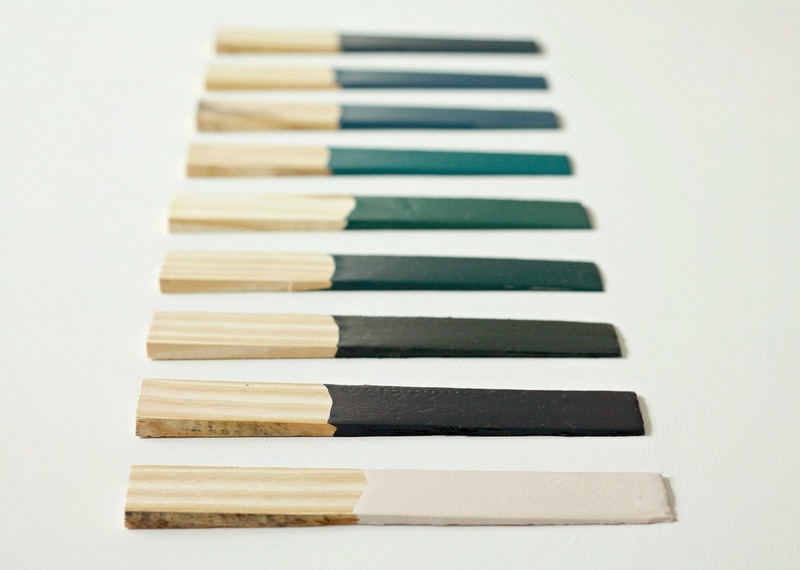 We will use wood, basic house paint and some unexpected tools to craft this original work. In addition we will make a simple wood frame to complete the piece. 2 hours + INSTANT ACCESS + lifetime* access + $18!